VivienB's Wedding stationery, who design bespoke wedding invitations and Table plans in the oxfordshire area, are delighted to recommend Qutis Advanced Skin Clinic to care for all your wedding related skin care requirements. Qutis (pronounced Kew-tis) is taken from ‘Cutis’ latin for skin. Our nurses, doctors and specialist staff are highly trained and most have over ten years experience in this field. At Qutis we only employ nurses & doctors for Botox and Dermal Filler Injections. All our nurses are registered with the Nursing and Midwifery Council (NMC) and our doctors are registered with the General Medical Council (GMC). All our nurses and doctors are specialists in this field and have a combined experience of over 40 years. Our nurse team have trained many doctors, surgeons and dentists over the last 10 years. We have been injecting Botox and other wrinkle relaxing treatments for over 12 years. We have expanded to three clinics in Witney, Abingdon & Thame in Oxfordshire. All are easy to access and parking is often free nearby. 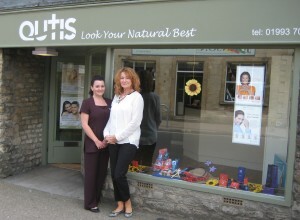 We currently offer a free skin consultation at our new clinics in Witney and Abingdon. Use our clinic finder to contact us and speak to a patient co-ordinator in your chosen clinic. We do not use call centres – we find customers like to speak directly to clinic staff. Why do VivienB's Wedding Stationery recommend Qutis Clinics? FINALLY...They make a great coffee! A member of Qutis Advanced Skin Clinics will contact you soon.